White gray marble flower looking mosaic tile. Bring the best of floral elements into your kitchen with this gray white marble backsplash tile. 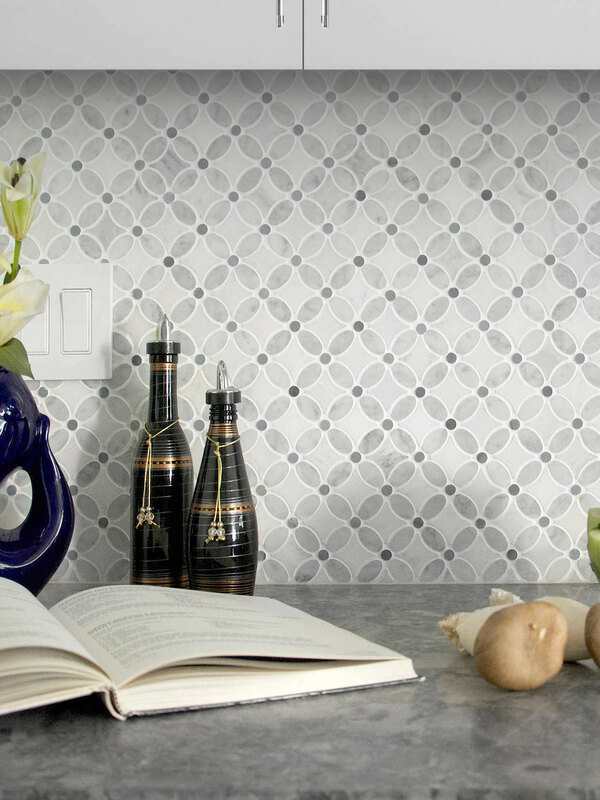 Simple and yet very elegant, this tiles brings class to your kitchen.